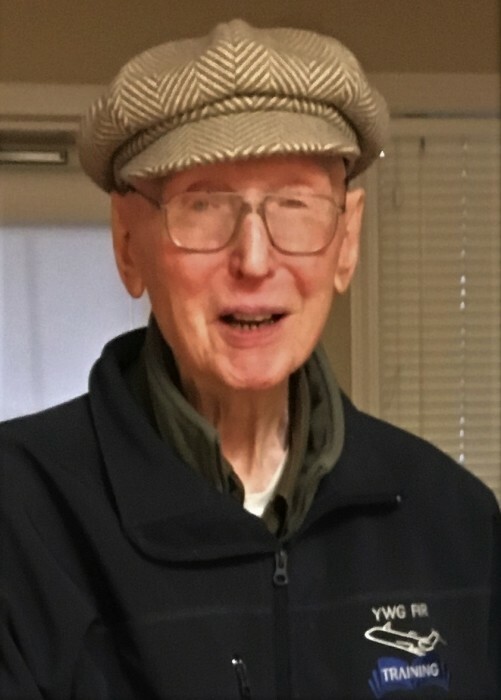 Obituary for Gordon "Bud" Harvey Dalzell | Providence Funeral Homes & Crematorium Inc.
Gordon (Bud) H Dalzell, 92, entered into the presence of his Lord and Saviour on Monday, January 14, 2019. The memories of time spent with him, will be cherished by family and those who knew him. He was better known by all as Bud, he is survived by his son, Harvey Dalzell (Cindy), his three grandchildren Jordan (Allison), Jessica (Andrew) Hansen, Josh (Amy) and four great grandchildren, Kyler, Declan, Kohen and Avery. His daughter Brenda Dalzell and grandchildren, Nicole, Aaron, Andy and great granddaughter Hannah. His three sisters, Bernice, Lois and Beryl. He was predeceased by his wife, Helen Atkinson, a sister Aileen and brother Welland. Bud and Helen were married in September of 1952 and resided in the town of Selkirk, MB where he worked at the Selkirk Mental Hospital as a Psychiatric Nurse and raised their family. In later years, he continued his career with Skills Unlimited in Winnipeg where he assisted in the rehabilitation of mentally challenged adults. He was an avid hunter, water skier, loved camping but his greatest passion was flying. He shared that experience with anyone who was willing to go up for a flight with him. Eventually that led him to volunteer for Search and Rescue with the Winnipeg Flying Club and later with the Penticton Flying Club. In his retirement, he was able to maneuver a flight simulation program on his computer and enjoyed flying from the comfort of his home.